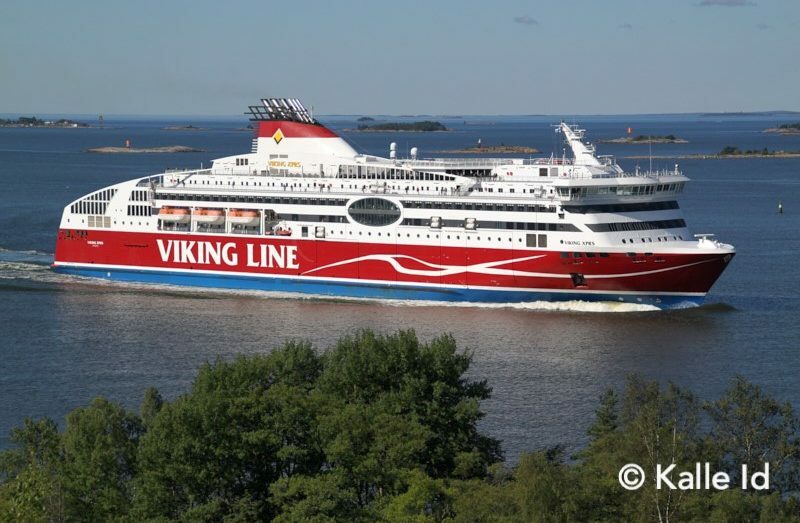 Viking Line, the Finnish cruise ferry company that operates services from Finland to Sweden and Estonia celebrates its 60th anniversary this May, and is looking forward to taking delivery of its next newbuilt ship in two years’ time. The company’s busy CEO Jan Hanses took a moment to sit down for a question and answer session in the company’s Helsinki office with Ferry Shipping News’ Finland-based freelance correspondent Kalle Id. First of all: Mr Hanses, congratulations on the upcoming 60th anniversary! Thank you. Of course, if we are being precise, this is the 60th anniversary of services under the Viking Line brand name. If you count from the foundation of the present company, that happened in 1963 so the company isn’t quite there yet. 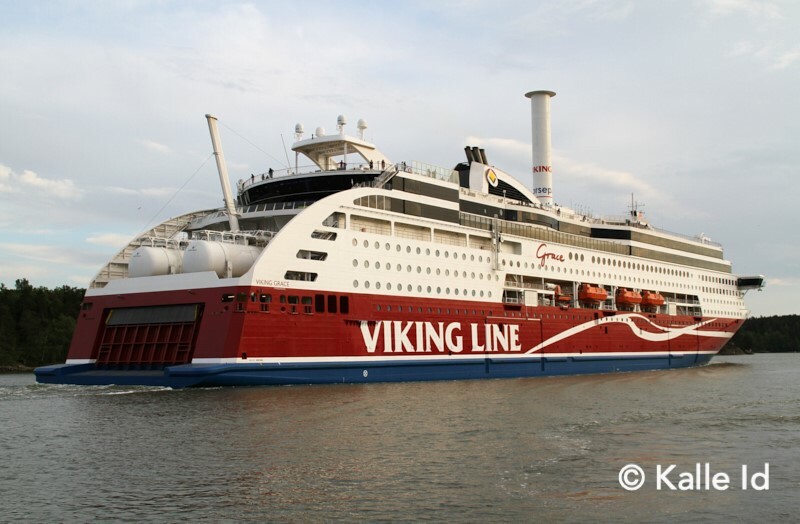 During the past ten years or so, Viking Line has become the industry leader when it comes to building ships with innovative environmentally friendly solutions: first the VIKING GRACE being the first major LNG-powered ferry, recently fitting that ship with a wind rotor, and rotors also specified for the new ship you have under construction. Can you talk a bit about your strategy in this field? The reasoning behind the VIKING GRACE being built for LNG fuel was the fact we were living in an environment where both MDO and HFO bunker fuel were very expensive. At the same time, the new sulphur regulations were coming into force in 2015. We knew the that the ship that eventually became the VIKING GRACE would have been in service for only two years when the sulphur regulations came into effect, so going ahead with a conventional arrangement was not really an option. I always see that the environmental aspects and economic result go hand in hand. It is to our advantage if we can find cheaper fuels that are also more environmentally friendly. In specifying LNG fuel for the VIKING GRACE, our reasoning was that the production of LNG was increasing and, although it was at the time relatively expensive, the price would drop as demand and production increased, making it an interesting fuel from an economic point of view. And of course, it solved the sulphur question, radically decreased particle emissions, and also the CO2 emission are lower than if you burn conventional bunker. As for the rotor sail we retrofitted on the VIKING GRACE, it is currently undergoing a test period to see how much energy it actually saves. We could do this in co-operation with the rotor manufacturer Norsepower, so we thought would be worth it. Theoretically, on a ship that size, you can achieve maybe only a two percent energy saving, so it is not a huge number – but we need to evaluate the real final savings when the test period is over. Staying on the same theme, what do you want to highlight about the new ship you currently have under construction at the Xiamen Shipbuilding Industry shipyard in China? The new ship will be a bit larger than the VIKING GRACE, but at the same time we have managed to increase its energy efficiency by ten percent compared to the older ship. The main fuel will again be LNG, and – depending on the outcome of the wind rotor test period on the GRACE – we plan to fit two rotor sails on the new vessel. In addition to that we have placed large emphasis on energy savings on the hotel department, using various new innovations, which will count for a large part of the energy savings. For both the VIKING GRACE and now the new ship, you hired interior designers who haven’t really worked on ships before (dSign Vertti Kivi and Koncept Stockholm, respectively). What was the reasoning behind that? It was a way of diversifying the offering to our customers. People are very used to seeing interiors that mimic older ships with use of brass, mahogany and things like that. We wanted to shake things up, bring in more variety, and on the VIKING GRACE it was very well received by the consumers. We hope that this new vessel will also get a similar reception. 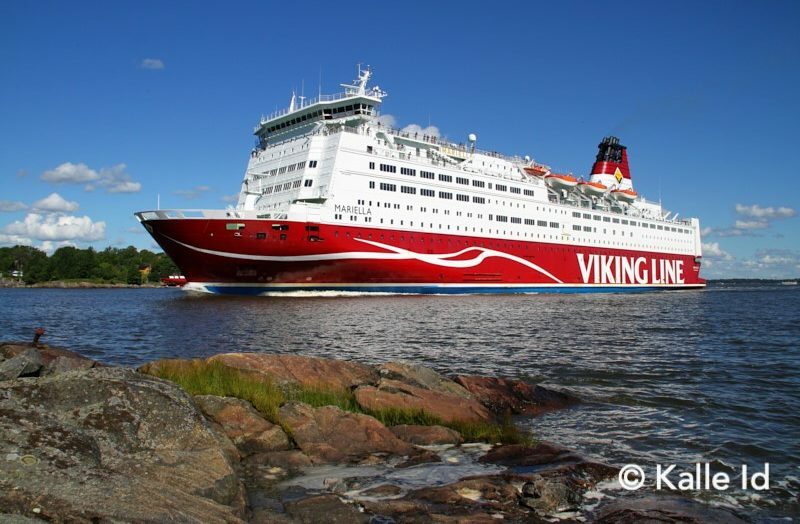 With investment first on the VIKING GRACE and now the upcoming newbuilding, it seems the Turku-Stockholm route is your prime service at the moment? It is the route in which we are currently investing. The reason is that when you put an asset to use, it is very efficiently used on the Turku route. We have exceptionally short harbour turn-around times and the vessel is essentially continuously working for 24 hours a day. In contrast, on the Helsinki-Stockholm route the ships spend approximately seven hours each day in port, so the use of the asset is not nearly as efficient. On the subject of LNG, quite a few companies are now looking into converting their existing tonnage to run on LNG. Is that an option for you? We have looked into it, but decided not to convert the older ships – at least at the moment. I think the change to LNG, or perhaps even other environmentally fuels and propulsion systems, will come when we invest in new vessels. It is not quite economically viable to install LNG engines and fuel systems into the older vessels we have – it is an expensive investment and at the same time the ships are quite old to justify that kind of investment. When you made the order of a new ship from China public, there was some public backslash in Finland for not supporting the Finnish shipbuilding industry. Did any of the public outcry actually translate into changes into the passenger numbers? Not really, no. Of course, there is always year-on-year variation in the passenger numbers, but we could see nothing that could be attributed to the decision. Looking further into the future, can you share any thoughts on what services will be next up for investment after the tonnage renewal of the Turku-Stockholm route is complete? Investment in some form is to be expected on the Helsinki-Stockholm route. Of course, a newbuilt ship is an expensive investment. The alternative is to do a more extensive refurbishments of the old ones. But obviously the Helsinki-Stockholm route is on turn for investment after the Turku route. Related to that, would second-hand tonnage be an option for renewal on Helsinki-Stockholm or any other of your routes? It might be possible to find a second-hand vessel that suitable for our needs, but they are not something you find very often. There might be some candidate out there but if there is, we haven’t located it yet. And of course, we need to take into account that you need a sufficient ice class on the vessel for it to be able to operate on our service area, and that is often missing from the second-hand vessels that are available. Of course, we always have one second-hand vessel, the GABRIELLA on the Helsinki-Stockholm line, which we acquired in 1997. But she is a sister ship to two ships we operated at the time [the AMORELLA and ISABELLA, the latter left the fleet in 2013] that were built in Split in Croatia, which made the GABRIELLA well suited for our purposes. Moving on to the Helsinki-Tallinn route, there are quite a lot of developments there: Tallink have a letter of intent for a new ship, the City of Helsinki is trying to move cargo to use the Vuosaari freight harbour (some 16 kilometres from the city centre by road), and there are plans to build a fixed link between Helsinki and Tallinn in the form of a rail tunnel. How do you see the future of the Helsinki-Tallinn route for your company? We have one vessel, the VIKING XPRS, which was built in 2008. She is quite new and we will continue to use her on the route. The competition on the Helsinki-Tallinn line is hard, as you can imagine, and will be even more so when Tallink’s second MEGASTAR enters service. At the same time, increases on excise duties and overall price levels in Estonia have impacted passenger volumes on the route. We find that the route is developing more and more into a pure transport service, with far less emphasis on onboard shopping. This development is something we need to follow and evaluate, to see what is the correct way of addressing these changes. For our part, we see no future in Helsinki-Tallinn services from Vuosaari. We have one vessel for passengers and cargo, and obviously you cannot split it in two, with one part sailing to the existing terminal in Katajanokka and the other to Vuosaari. You have to operate the service from one harbour, and passengers are not interested in a service from Vuosaari. It is also my understanding that the investment needed in Vuosaari in order to have passenger vessels sailing from there would be very expensive and could not be economically justified, especially after the recent big investment in a new terminal for the Western Harbour [used by Viking’s competitors Tallink and Eckerö Line]. And when it comes to the planned rail tunnel… you also have a tunnel under the English Channel, and you still have ferry services there. The tunnel would be one more competitor on the route, but it is something we could live with. But personally, I am not convinced that there ever will be a tunnel between Helsinki and Tallinn. Staying on the subject of Helsinki-Tallinn route, it is also your only route that doesn’t have tax-free sales onboard. Does that make it different from your other routes? Obviously that is the case. One feature of that is that you’re able to buy very large quantities of alcohol that is not tax-free but subject to lower Estonian duties. With the recent increases in Estonian duties, we have seen a change in passenger behaviour: the passengers who buy large quantities no longer do it onboard but travel to Latvia. So they use the vessel to do the crossing and then drive down to Latvia to do their shopping there. For a more general question: on the Viking Line business model, how important is cargo and how important are passengers? About 20% of our revenue is from cargo. The cargo has performed well during the past five years, obviously due to the Finnish economy doing better under that period. But the cargo business is very cyclical. When the economy slows down, our cargo revenues will also drop. But, overall, we manage to hold our ground well against our more cargo-oriented competitors, especially Finnlines’ Finnlink service on the Naantali-Kapellskär route [which is essentially a slightly shorter competitor to Turku-Stockholm]. 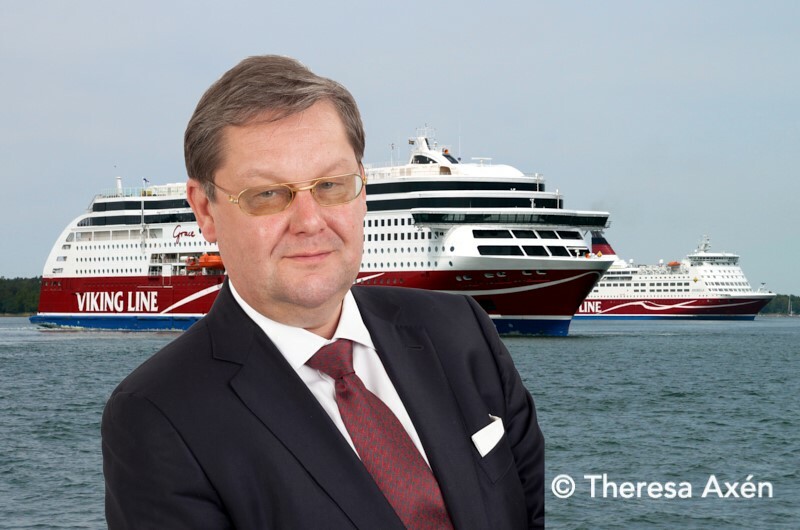 A question that I must ask: there was the recent rumour about Grimaldi being interested in buying Viking Line. Can you comment anything on that? Only that I heard that rumour myself (laughs). I have no further information. And obviously any potential buyer wouldn’t contact me, they would ask the owners. Final question: in the future, do you see any possible new routes that you could open, or companies that you could acquire to expand your operation? Obviously it would be of interest, but it is a fact that our traffic area is very heavily competed and it’s hard to imagine a line you could open here. We have not been, and are not, inclined to expand out of our current service area in the Northern Baltic Sea. Going further out from this area is not something we have contemplated and I do not think it very likely. But of course, you couldn’t rule anything out.